As an android user, you know to have a fully functional device it when you attach it to a Google account but what if you have more than one google maybe you have a personal one and a business account and you need both of them attach them to your android device then how do you go about adding the multiple account to your android device or here is another example if a couple buys one Samsung Galaxy Note and they both have different Google account which one are you going to attach to the device? Now this is when the thinking starts. Don’t look to far, then solution is right in this post, yes it is totally possible to attach the two or more Google account to just one android device there making everyone that uses the device comfortable. so here I will share with you a simple trick on how to add multiple Google account to your android device and even to the PlayStore app. 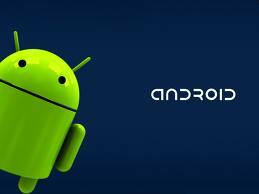 Steps On How To add Multiple Google account to A Android Device. Adding another account to your android device is a very simple tutorial that you can do anytime, i will also attach images to you can easily see it. This was done on a ice scream sandwich and it will be similar to other versions too. On your android device that you want to add another Google account to, Open The settings. In the “Accounts & sync” tab select another Add Account. When you have select the Add Account tab, then a list of options of account you might want to add such as Corporate, Facebook, Google, Email then select Google. After selecting the Google account from the list, you will be asked if you want to create or add an existing account, then pick Existing if you have created the Google account already and if you just want to create a new Google account you know you will have to pick the Create Account option. In your Google playstore click on option and then select an Account, then add Account then all you have to do is follow from Step 4 to 5 above and complete it. Then you have successfully added another account for Google Playstore. I simply don’t know why I read this post Bakare. Since I’m not on Android but I do pray of getting a new phone which is Android based since my old Nokia xpressmusic is spoilt! thanks for the comments, Android phone are really great. Super steps here. I dig your breakdown and learn a bit more about Android each and every day. I have concluding reading this post before I finally discovered I was not on Android, but hopefully this is going to help me when I finally get one. Thanks for sharing this simple but technical trick on your blog.